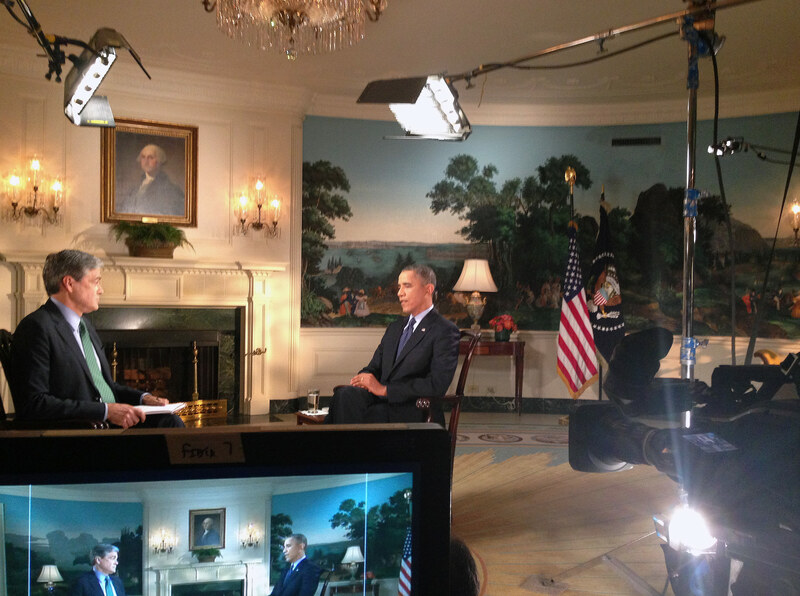 In response to the Government shutdown, CNBC received an exclusive interview with President Obama and Ventana Productions was at the White House to shoot it for them. Directors of Photography, John Lawrence and Rich Joy, Audio Technician Juan Rocha and Grip Chris Santana headlined the video crew that set up, lit and shot the interview with the President. 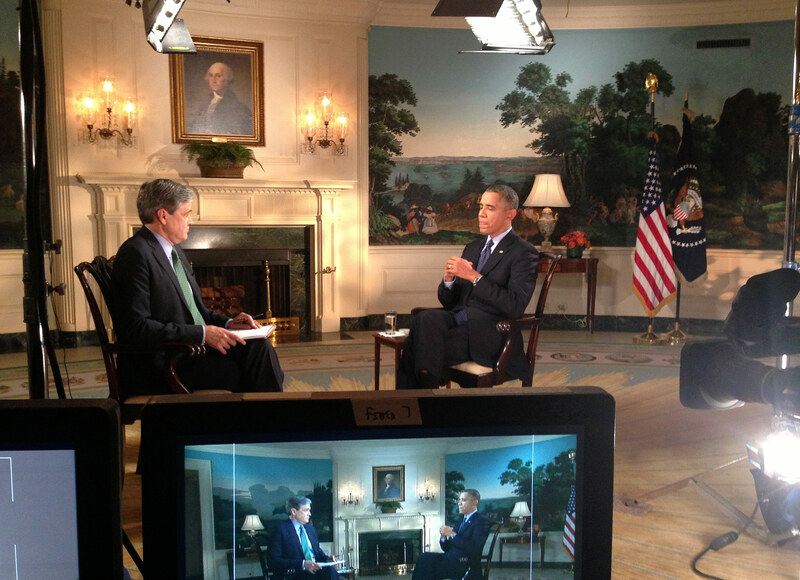 This entry was posted in Cinematography, Government Shutdown, President Obama, Ventana Productions - Full services video production, White House and tagged CNBC, Government, Government shutdown, President Obama, White House on October 3, 2013 by ventanaproductions.